About two Sundays ago, I went out for a typical family day with my wife and son. We ate out at the mall and bought some stuff like a light bulb and some new clothes for my wife. 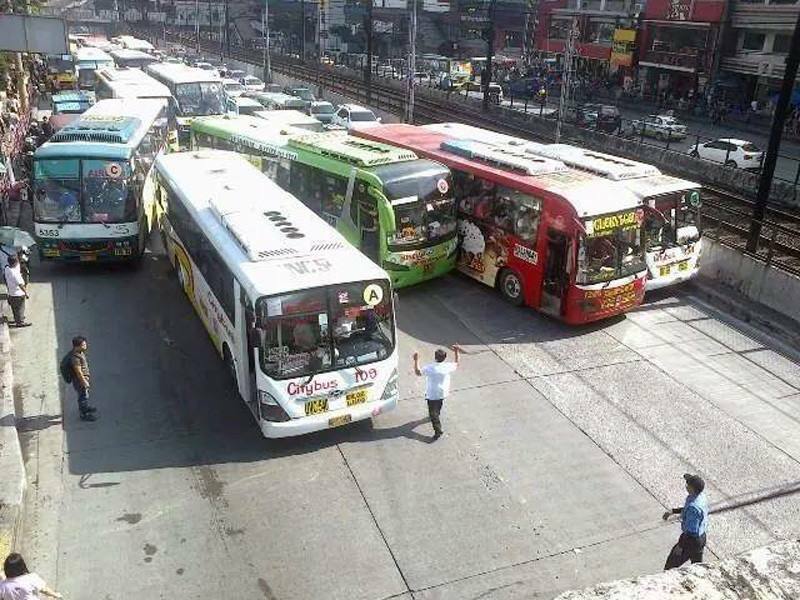 It is in these instances that I sometimes get to observe the proud Pinoy at his “finest”. Such behavior at centers of commerce prove the fact that the Pinoy really is anti-intellectual, unruly, mediocre and lack any form of discipline. We were first at the gilded illusion of a first-world city called Makati, particularly it’s central business district (CBD). Filled with tall buildings and malls with a cozy atmosphere of recycled air, the CBD seems like the ideal go-to place, catering to the taste of people from the higher economic brackets. However, as you venture out of the CBD’s boundaries, you’ll see that Makati is no different than the jungles like Manila and Pasay have become with bad roads, nonexistent city planning, reckless drivers, unruly pedestrians, sleazy joints, etc. On our way out of the CBD, we only have a choice of a two-lane service road that’s similar to a lunar surface and an oppressively expensive tollway. We usually choose the latter for practicality (reduced wear and tear on the vehicle we use) and convenience. Next we went to SM Bicutan, a place that caters more to the masses. Unfortunately, it is in this sort of place that the misery of the Filipino is more evident. The place just reeks of substandard merchandise and shallow entertainment options designed to drug the masses into a zombie-like, brainless state with four-on-the-floor thumping music and local cinema that’s devoid of anything of intellectual interest and creativity. To get good items or better options in such an environment, you’d have to dig deeper, avoid the pestering utterances of squads of salespersons, and exercise common sense and discernment. In such an environment, you would readily notice the Pinoy’s lack of courtesy and respect for his fellow man. One manifestation of this is at the parking lot where many drivers have no respect for no-entry or one-way signs. There’s supposed to be an organized way by which drivers should navigate the internal pathways of the parking lot, and such a way is labeled by big signs labeled “This Way” and “Wrong Way”. Apparently, many prefer entering the “Wrong Way” just so they can get ahead and pick out the parking spot they like. In this regard, economic class was not a factor as I have seen a lot of these people driving very expensive vehicles. Many moviegoers in its cinemas are just the worst. They’re loud and crude as they do not respect the need for silence in movie theaters. They would let their cell phones ring loudly and chatter away as if they were watching mind-numbing TV at home. Chaos seems to be the norm for the Pinoy, and it’s level would skyrocket whenever SM hosts some local celebrity event. It really is odd in these malls like SM where there seems to be a 1:3 salesperson to customer ratio. I probably am exaggerating here, but for items that do not require any form of technical expertise it doesn’t make a lot of sense to have an army of salespersons occupying every corner of the store. People should be disciplined enough to go choose and take items for themselves, and put things back in order. As a creature of chaos, the Pinoy will not do that, hence the armies of salespersons on very low salaries. This goes to show that apparently you cannot trust the Pinoy to take the merchandise from the checkout counter himself and has to be treated like a king with his every idiotic whim. I have become friendly with the staff of Lazer Music in SM Bicutan. They certainly have some good merchandise. However, I’m assuming that the management of the place know that a majority of people who try their hands at music are not musically adventurous at all. How do I know? I’ve asked the place numerous times for a 6-string bass. They don’t have it. These days, you wouldn’t really consider a six-string bass to be an unusual instrument, but in the Philippines it is hard to find one. It just is sad to know that many Filipino musicians aren’t willing to go beyond the standard instruments available. If you try out something new, you could be labeled as “hambog” and “mayabang”. Many Pinoys are afraid of change and do not have an innovative spirit at all, and the music store is a sad reflection of that since the management knows that most aspiring Pinoy musicians do not aspire to do more and will not try out something new. Their only recourse is to sell the standard stuff; unusual instruments are out of the question. It’s the same prevailing attitude when you claim to play progressive music in the Philippines; either you earn respect or you get derided for being flashy and out of the norm. Collectivist mentality at work. I was genuinely amazed at how very few Filipinos would be fascinated by new ideas. The Lazer Music staff happen to be such folk. They were very interested when I introduced to them things like Mark Wood’s violins, Jordan Rudess’s iPad apps and the GuitarViol. I suppose there’s still some hope as at the very least there’s a few open minds out there willing to check out and explore innovative ideas. 1. Makati CBD is like opium, designed to numb people from the problems outside of it. 2. Pinoy consumerism and anti-intellectualism create a vicious cycle: The lack of interest in anything intellectual and innovative leads business owners to sell products that serve to feed only shallow interests. These include entertainment options that gives a quick laugh, thrill, excitement, sexual arousal, etc, but lacking in facility to provoke people into thinking of ideas. Such cheap thrills provide the positive reinforcement to think less and then act like animals on impulse. Just like Mark Mothersbaugh sings about, “Are we not men? We are Devo!” Pinoys are devolving. Such substandard merchandise appeals readily to the Pinoy “Pwede na yan” (that’ll do) mentality. 3. Such brain killing activities and products turn men into monkeys, having lost the ability to follow simple rules like “Do not enter. Wrong way.” Idiots and assholes they have become as they confuse what’s right from wrong. 4. It seems to me that the whole design of these places is to keep people ignorant and stupid, so that they can be controlled and manipulated to benefit the interests of major business owners. No value is added, no wealth is created. 5. If you, the thinking kind, would hope that such ignorant people would be wiped off the planet, you’re dead wrong. They multiply like jackrabbits. 6. We need not despair yet as there is a chance that the problems could be reversed, given the fact that there still are a few who are willing to think and accept new ideas. While it is very difficult for me to find people who would be interested in sensible and meaningful conversation, there still are a few.